I’m a big fan of playing with data. In my earlier corporate life, I often used Excel to look through thousands of lines of spreadsheet goodness. I assumed what I was doing was “big data”, and I prided myself on my association with a trendy buzzword. I know better now. A lot better. If you’ve ventured here, you’re probably looking into data science, the mysterious science that seems to verge on mysticism in the press. The virtues of data are constantly praised as innovative and disruptive. They seem like the domain of an exclusive few practitioners lifting numbers into actionable insight. Harvard Business Review went as far as to saying that the data scientist was the sexiest job of the 21st century. It seems that data scientists create many of the most exciting projects at the cutting-edge of technology. The people you may know on LinkedIn appear thanks to data mining. Amazon’s book recommendations rely on computers to mine your book preferences and select the one book that is most likely to appeal to you. Facebook finds what posts you like, and serves you more of the same. Google finds out who you are, and filters search results and ads for you. If I like computers, the search term Python will return me the programming language. If I like snakes, it will return me a whole bunch of snakes. This is all down to the magic of data mining. You’re here because you want to look behind the veil and learn how to do all this. It’s hard, but not as hard as you think. Data science, at its’ core, is all about using computing power to parse through huge data sets. Here are nine free, brilliant resources to do just that. Coursera brings the best from the University of Illinois at Urbana-Champaign, ranked in the top 5 for computer science schools in America. It’s a useful introduction to data mining–the application of data science and computing power to find patterns in large collections of data. This blogpost delves deep into the specifics of data mining. It provides an overview and a set of definitions that will help bring you up to scratch. The coding language R is the workhorse of scientific data analysis and visualization. 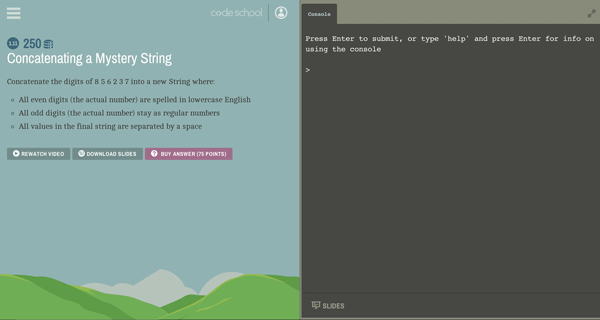 Codeschool offers an interactive and gamified approach to learn it, similar to Codecademy. Working with R will give you insight into how to move and dance with digital data, a skill that is the foundation of data science. Kaggle is a platform for crowdsourced data challenges. The website has a ton of resources on how to get started with data science. This particular link leads to their guide on Python, one of the most versatile programming languages for data analysis. This blog knows how to describe itself: “Data Science 101 is about learning to become a data scientist.” Simple, clear and to the point. W3 hosts a bunch of interactive tutorials on the basics of programming. This set of tutorials goes through SQL, a language that allows you to access data from most web databases. The tutorials will give you a glimpse into how data is structured for many websites and they will give you enough knowledge so that you would know how to play with data. Have you ever wanted to play with big data? Learn the basics here and experiment with them. Hadoop helps distribute data across multiple servers, helping to process large amounts of data as seemlessly as possible. Learn about data mining and the algorithms you can create to make your data analysis job so much easier from a master in the field: the founder of Coursera Andrew Ng, a Stanford professor who has recently become Baidu’s chief scientist. If you can work with Python at a proficient level, this book will help you implement different algorithms that will sort, filter, and manipulate your data for you. A must-read for people looking into the practical applications of data mining. Imagine a world where you could access information as easily as you could breathe. You can stop imagining: this is the world we live in. With Google, almost everything can be a finger tap away. With the right keywords, you can access the right information. The challenge now isn’t a lack of information—it’s how to access that information in a curated fashion. 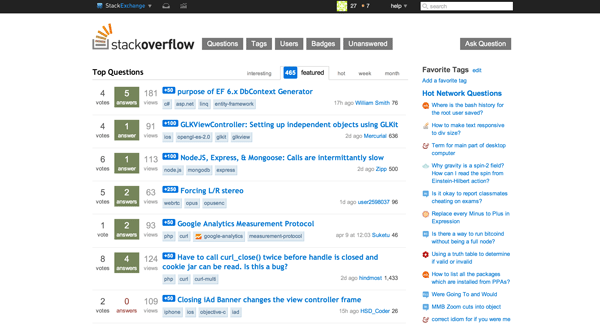 In that sense, Github, the hub for open source software has become a good way to organize information. By modifying the README files typically used to document how software is used into a list or a resource itself, the open source movement is applying yet another twist to how it can leverage existing resources in new ways to solve old problems. It is innovation in action. The best part of it is that you can contribute even if you’re non-technical by getting an account, and making pull requests that change the text: you update the text how you will, and then you can push the changes to moderators who will look over your proposed changes, or reject them. Now to take a look at the resources that have been assembled for you to learn code and entrepreneurship. https://github.com/athivvat/Startup-Resources: A list of startup resources that’ll help you get your feet set to build something. https://gist.github.com/ndarville/4295324: A list of digital business models, along with a comparision to a company or startup known to be using that strategy. https://github.com/bayandin/awesome-awesomeness: An overarching framework of most of the coding resources on Github, including a bunch of resources on technical topics. https://github.com/gloparco/Master-List-of-HTML5-JS-CSS-Resources: A special list for HTML/CSS/JS resources. https://github.com/vinta/awesome-python: A list of the Python frameworks you can use. https://github.com/akullpp/awesome-java: A similar list as awesome-python, this time for Java frameworks. https://github.com/vhf/free-programming-books: An awesome curated list of free programming books. https://github.com/dypsilon/frontend-dev-bookmarks: A list of resources a front-end developer has bookmarked over many years. 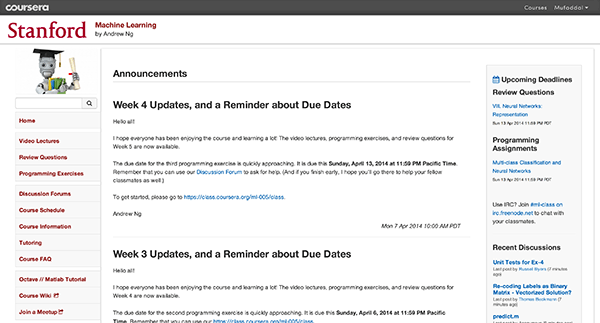 If learning lists are your thing, check out the rest of them on code(love)! This was written by Mufaddal, and was originally posted on LearnRev. At code(love), we’re all about compiling resources like this, so it was our pleasure to help spread this great content. If you have content like this don’t hesitate to contact us at [email protected] We have a weekly newsletter centred around the best resource to learn code. If that sounds awesome, join our mailing list. ‘Software is eating up the world’ , Marc Andreessen wrote this article in 2011, almost 3 years on and this statement is still relevant, and will probably be relevant for the foreseeable future. From Jack Dorsey to Bill Gates to Mark Zuckerberg, everyone is encouraging people to learn how to code. The software industry is growing, every single industry is affected by it. There could not be a better time to learn how to code. Learning how to code is difficult but its not impossible. It’s never been easier to dive right into it. There are countless resources available to help you learn how to code. From simple tutorials to full-fledged courses with tasks and projects. In this post I’ll list the free resources that I think are the best places to dive right in and get started. Different people learn in different ways, some prefer to read a book first, others like to start coding straight away. There is something for everyone here. I’ve divided the resources into different sections, with number of resources in each section. The below categories are not set in stone, as you will notice that a number of the blogs have courses, and one of the books is interactive. None of the following are in any particular order, they all have different strengths and weaknesses. Sal Khan is Bill Gates’ favourite teacher. Khan Academy has grown from a guy with a graphic tablet putting videos on YouTube, to an education institute. 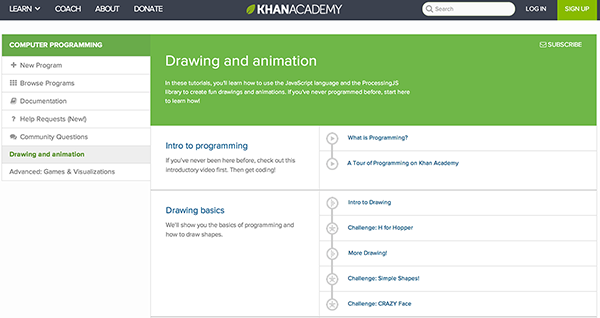 The computer programming section in Khan Academy goes through the basics and is great for kids or grownups to get an idea about how a computer works to what programming is. If you’re just looking to understand the basics of computers and programming, then this is the best place to start. 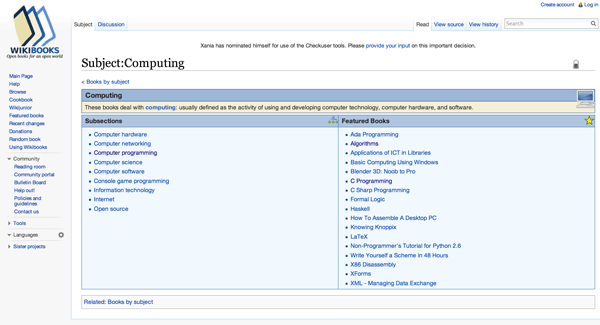 Founded by Hadi and Ali Partovi, Code.org had the goal to make programming accessible to everyone. 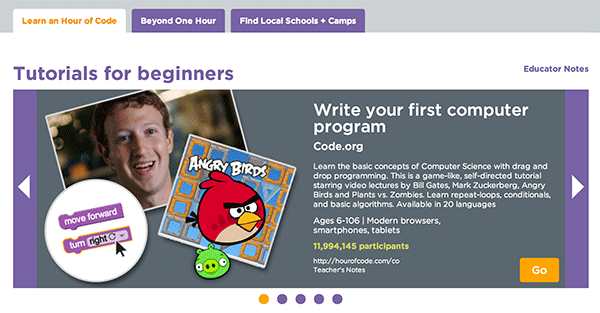 They launched the Hour of Code challenge in December 2013, to entice students to give coding a shot. Having partnered with different companies(Khan Academy, Tynker etc), they have developed coding challenges. Starting from some of the simpler ones such as this blocks based drag and dropchallenge. Moving on to this challenge, that will allow you build flappy bird on the iPhone in your Browser! 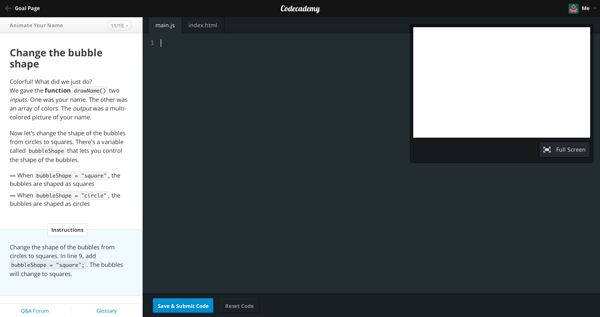 You can also learn about Python from Grok learning and how to draw using code from Processing Foundation. 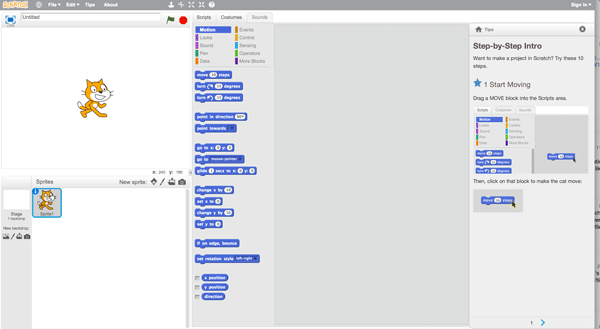 A product of MIT Media Lab, Scratch was developed for kids, but even adults can use it to learn the basics of programming. It has an easy to use drag and drop interface, that focuses on teaching logic, which is essential to learning any programming language. Besides the block-based drag and drop components, the Scratch interface also allows you to import your own images and creating your own images inside the browser using their built in drawing program. Like Khan Academy, you can explore what others have created and remix them or come up with your own projects that others can remix as well. Alice is another software program that uses a drag and drop environment. Its focus is towards computer animations using 3D models. Initially produced at University of Virginia and then at Carnegie Mellon after 1998. You can place objects from Alice’s gallery into the virtual world, and program them by dragging and dropping tiles that represent logical structures. Additionally, you can manipulate Alice’s camera and lighting to make further enhancements. This is a great little tool to learn about Ruby. It has a built in Integrated Development Environment(IDE) which allows you to run a piece of code that you have written. The learning is structured around going through a series of lessons that are accompanied by programming assignments that can be attempted in the IDE. 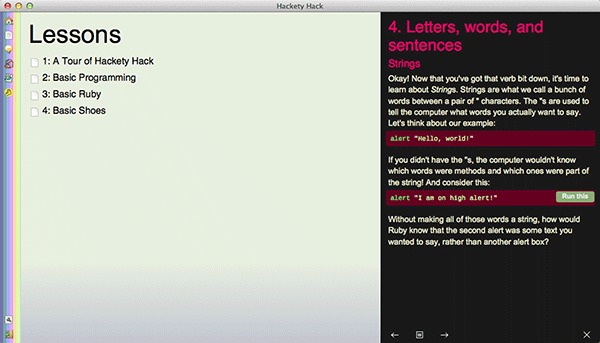 Unlike Khan Academy and Scratch, you can download the Hackety Hack software, and learn while offline as well. Once you have accustomed to the Ruby programming language, you can create your own programs from scratch and upload them to the Hackety Hack website. You can also check out what others have created although the community isn’t active like Khan Academy or Scratch and it looks like nothing has been uploaded onto the website since 2011. If you are looking to learn from professors teaching at some of the top Universities in the world, then the following options are the best for you. The Courses found here range from ‘Introduction to Computer Science’ to some of the advanced Machine Learning and A.I. courses that you can take at Stanford or MIT. I have also included the MongoDB University courses in this section, as they follow the same curriculum and timeline as a normal University course. 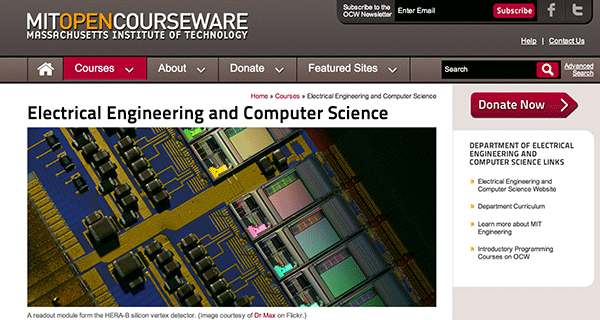 MIT started the OpenCourseWare movement about a decade ago, since then online courses have evolved and have a completely different look. If you are looking to get your foundation and basics strong, then there is no better place to start then the Introduction to Computer Science and Programming course. It will start from the basics and give you a good understanding of how computers work. Once you have gotten your basics strong, you can jump into some of the other courses found in the Electrical Engineering and Computer Science section. Founded by Andrew Ng and Daphne Koller, Coursera is the largest MOOC (Massive Open Online Courses) provider in the world right now. With courses from over 108 institutions(at current count) from all over the world. The courses have a start and end date, although once enrolled you can view the content at your own pace if you don’t wish to follow the course schedule. The only problem with Coursera is that you have to join the course at the right time. You can enrol into a course after it has started, but with that you will not be able to earn a course certficate for most of the courses. 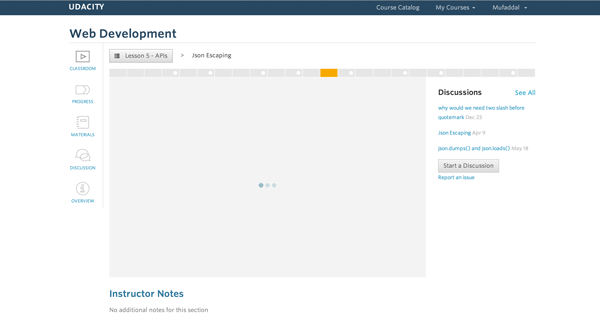 But like most MOOCs, you can view the content at your own pace at any time, even after the course gets done. I would recommend that you try out Machine Learning, the course that started it all. At the time of posting this blog post, they are already halfway through the current session, but you can enrol and get access to the course content. Besides that there are over 100+ courses on Computer Engineering at Coursera. All of them available for free. Another startup founded by an ex-Stanford professor. 160,000 students enrolled into the ‘Introduction to Artificial Intelligence‘ course by Sebastian Thrun that started it all. That course is for advanced students. If you’re a beginner, then the ’Intro to Computer Engineering‘ course is the place to start. Udacity offers courses focused towards specific fields in computer science such as ‘Web Development‘, ‘Data Science‘ and ‘Machine Learning(coming soon)’. 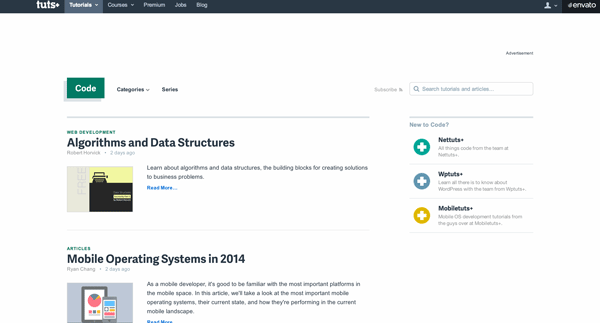 Most of the courseware on Udacity is accessible for free and you can learn at your own pace. If you pay for the monthly subscription you get access to your own personal tutor that will guide you through the course. NoSQL databases are all the rage right now. 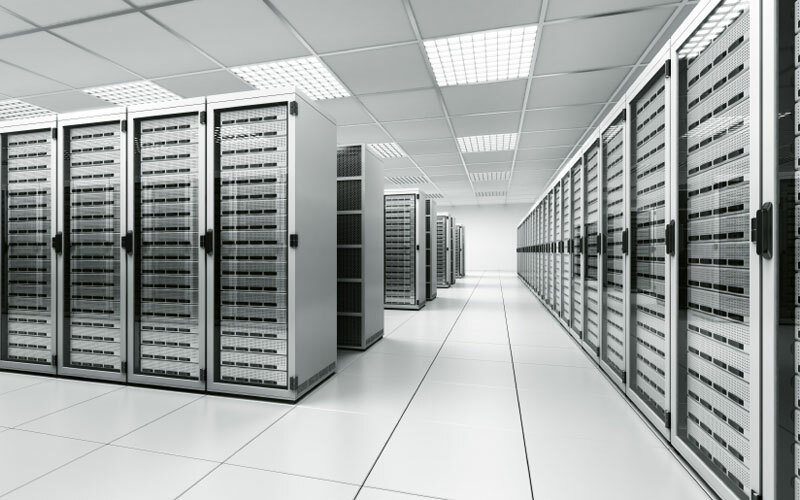 Databases have remained the same since Oracle came up with the Relational databases in the late 70′s. Hard disks have become cheaper since those days. Internet and networking speeds have increased. This has lead to innovations in databases. MongoDB inc. (Formerly 10gen) has been at the forefront of this innovation. 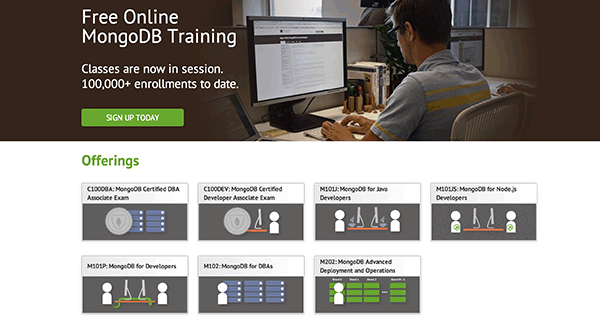 What better place to learn about these new databases then MongoDB University. Powered by the edx platform, they have 7 different courses targeting different languages and use cases. Two of the courses lead to certifications. The following websites, offer an interactive browser based IDE to teach how to code. 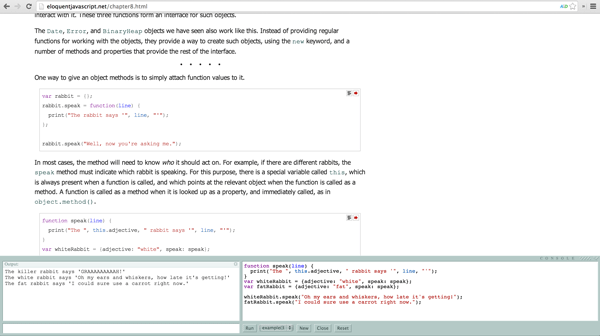 You can learn by doing a number of projects and exercises in the browser. The advantage to using the examples below is that you would not need to setup anything on your computer, and can learn everything through the browser. Eventually when you’re more comfortable you can always download the right software and get your development environment ready. Once you have mastered a skill, you can create your own lessons and teach. 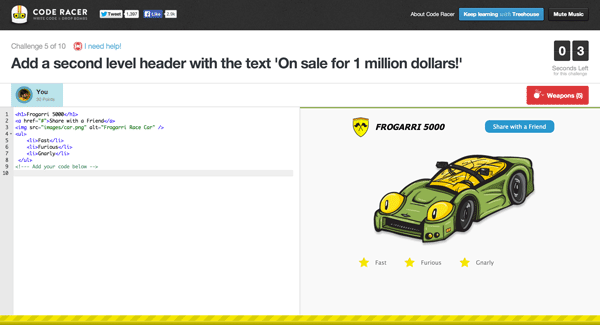 Code Racer adds a competitive element to learning how to code. It is aimed towards teaching you basic HTML and CSS. Beginners can learn at their own pace and advanced users can test their coding speed and agility. Players race against each other and the clock to complete coding challenges, unlocking weapons and rewards along the way. Built by Team Treehouse it offers video tutorials with the same production values found on their main website. The challenges are easy to start with but become harder as you progress. Code School has courses in a range of different languages. Most of the courses are not available unless you sign up for the monthly subscription service at $29 per month, you can end the subscription at any time. But all the different languages that they offer offer at least one free course. 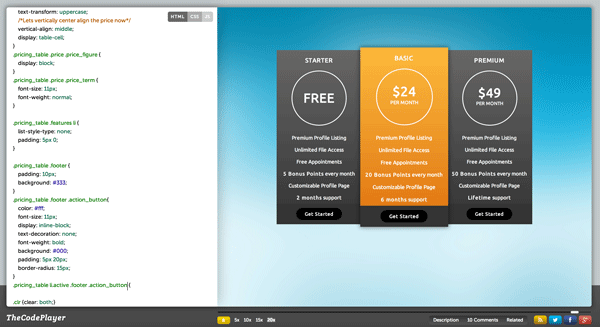 All the courses follow a theme, and you get a different user interface and look. This keeps things fresh as you’re learning. The courses is conducted through video screencasts with great production values. 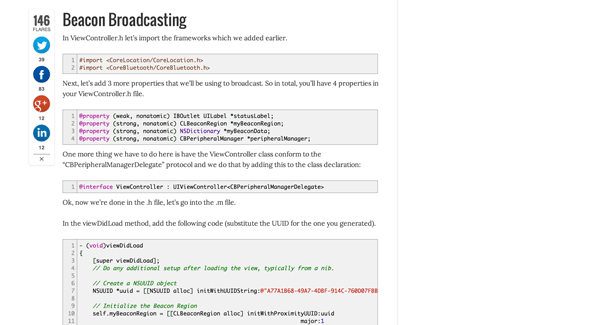 After every screencast you can attempt a coding exercise. The great part is that you can increase the speed to watch it quicker, and just like Khan Academy you can play around with the code at any point by pausing the player or right at the end. This is a different way of learning Ruby through unit testing. The word Koan, is used to represent story, dialogue, question, or statement, which is used in Zen-practice to provoke the “great doubt”, and test a student’s progress in Zen practice. This is the same philosophy that is used in Ruby Koans, by teaching a user about the Ruby programming language through testing. Normally you would be required to install Ruby and download the Koans on to your computer to get you started, but a browser-based version has also been developed, so you can get started straight away. Programmr has a broad catalogue of lessons teaching many languages. 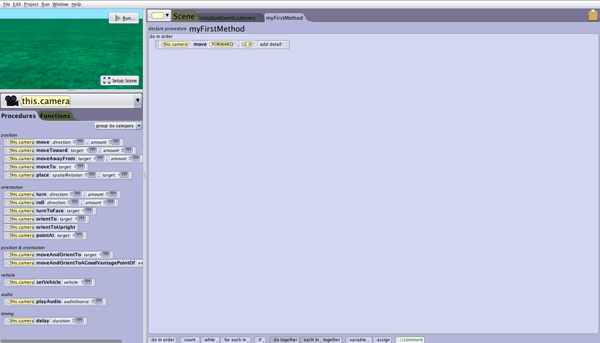 You can attempt exercises in their browser-based editor, and it gives you an answer straight away. The exercises start with the basics, teaching variables, operators, methods and strings and then moving on to some of the more advanced concepts. There are quite a few free courses, and a number of paid courses as well. 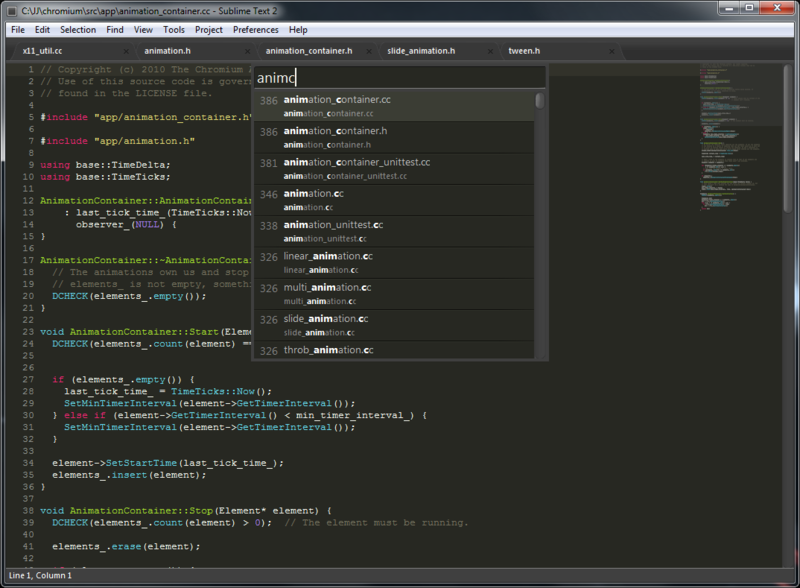 The thing that makes Programmr good is the ability to create your own projects, and attempt projects created by others. The projects range from simple games to iOS and Android apps. They also host contests through which you can win various prizes. The below are screencasts recorded by experts showing you how to do a certain task. You would have to setup your development environment on your computer to get started with these. 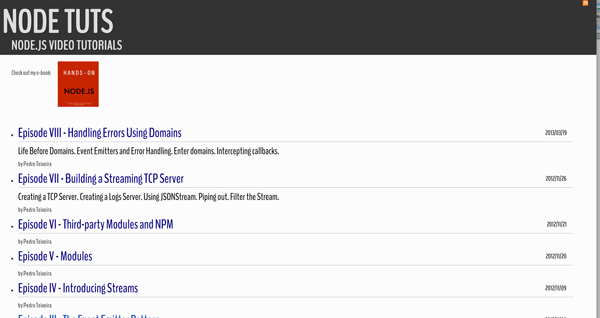 We’re using Node.js for our backend. When Zaid our co-founder/CTO was deciding to switch from Python, these were the tutorials he used to learn more about Node.js. 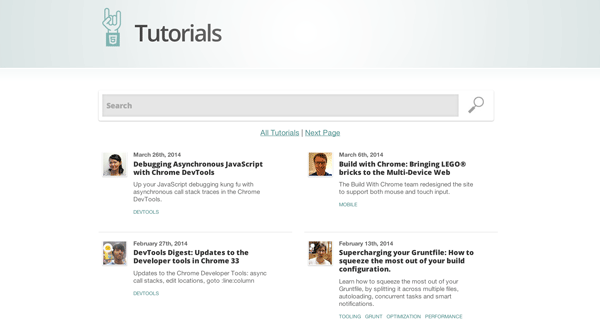 The tutorials are developed by Pedro Teixeira, who has contributed a lot in the node.js open source community. These are video-based tutorials, but Pedro has a great teaching style and explains simple concepts in an easy to understand way. We liked these so much that we combined these screencasts together and curated them into one place. Follow the same curriculum and lectures that the students at Stanford are following to learn iOS development. The videos are recorded in the lecture theatre while the class is being conducted. You will get access to different course work ad exercises, but its fairly self-paced and you will need to take the initiative. You can download all the videos and then try to attempt the assignments at your own pace. You also have the ability of downloading these on iTunes U.
AppCoda has 60+ tutorials to teach you how iOS development. You don’t require any previous programming experience to get started. The tutorials will help you get Setup and build your first Hello World! app in Xcode. They are adding a new tutorial every week. So if you’re interested in learning iOS, have no programming experience and prefer reading to watching videos, then this is the best place to start. They constantly update any old tutorials that are not relevant anymore with Xcode 5 and iOS7. Tutsplus has net a great network of blogs on various subjects, from Design to Music to Business. The three blogs that I recommend you to follow are the Coding, Game Development and Web Design blogs. Part of the Envato network, which also includes a number of marketplaces, Tutsplus also offers a number of Free Courses on various topics. They offer 2 free courses inWeb Design and 10 free courses on Coding. To get started in Front-end Web Development and Design, I recommend that you check out the 30 Days to learn HTML & CSS & 30 Days to learn JQuery. You should also check out either Let’s learn Emberor Hands-on Angular which allow you to augment Web Application with Modular-View-Controller(MVC) capabilities, allowing you to build single page applications. Deciding which one to use requires another blog post on its own! While I was learning CSS, one of the best resources that I found to learn some cool tricks was here. There is a great community on the forums as well. Most of your CSS related questions will be answerd in no time. If you’re looking at a specific problem, this is the best place to look. 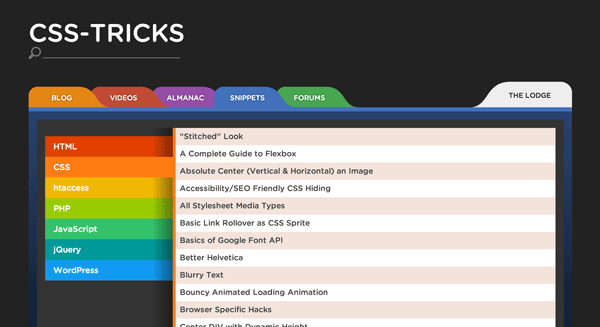 Most CSS related issues and problems have been tackled on the forums and in the tutorials. Like Tutsplus, this website also has a number of Video Screencasts. Some of the text-based tutorials that I found really helpful, tackled specific CSS use cases, such as Pop Hovers, Ribbons & Transition. Showing some of the cool things that can now be done with CSS. 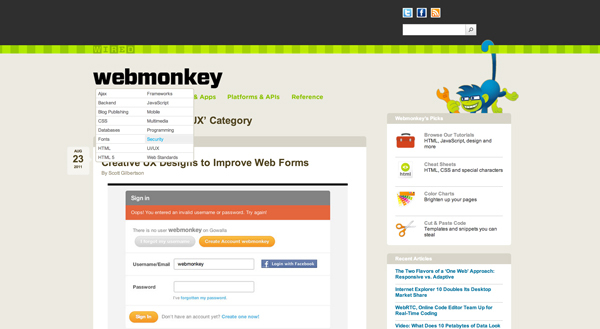 Part of Wired magazine, Webmonkey is a great blog to follow if you’re interested in anything to do with Web Development. They cover various topics from whats currently trending in User Interface(UI) Design to what the latest web frameworks are. They offer a number of tutorials, a cheat sheet to help you with HTML & CSS and acolour chart to help you easily get the Hex code of a colour. HTML5 is supposed to change everything in Web Development. Modern browsers have started to support most of the HTML5 web standards that W3C has finalised. With HTML5 browser based apps are finally able to compete with Native apps in terms of functionality and also User Interface and User Experience. The best place to learn everything about HTML5 besides the W3C portal is HTML5 Rocks. There are a number of great blog posts that highlight some of the best features and functionality that are found in HTML5, and also show you how to implement them in the right way. Not even the best programmer in the world will know about every obscure function or class. With practice you will get better at remembering them, but when starting out you need to have access to some good reference documents. Below I’ll list the ones that I think are great when starting out. 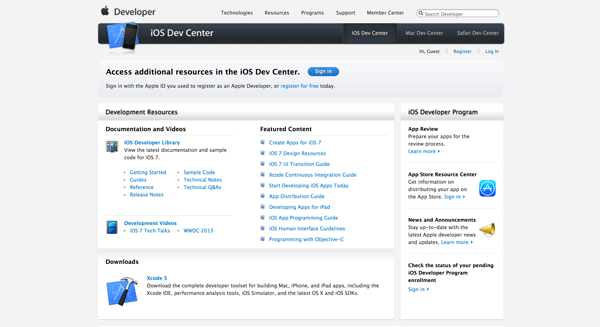 When it comes to developing apps for the iPhone, there is no where better to start the Apple’s own Developer center. 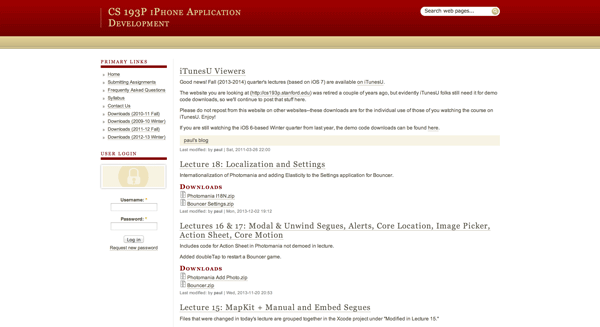 This is where you will get the latest updates for any changes that apple has made to their API documentation. Its a good idea to register yourself as a developer as you’ll get access to the discussion forums. The forums are a great place to ask questions about a specific issue you are having. Once you’re ready to distribute your app, you will have to join the iOS developer program. You will pay $99/year to join this program, and this is the only way you will be able to publish your app to the App Store. The same goes for developing apps for OSX, you can join the Mac developer program for $99/year. You can access most of the other resources without having to pay anything. Just like with iOS, when it comes to Android, the best place to start is the Android Developer center. 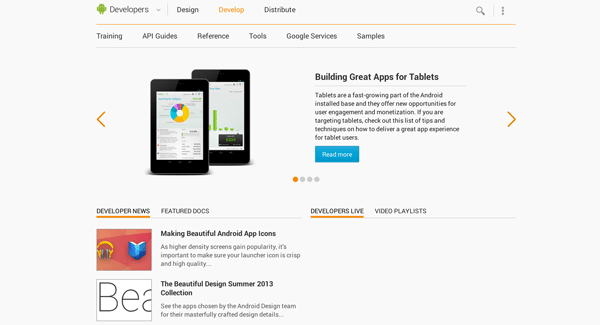 Google has built this place to help out Android developers in any way possible. You can learn all about the right style and design patterns to use in the design section. In the develop section you can go through the training to help you get started with the Android SDK. Once you have a good idea about what you are doing, you can check outreference when you’re not sure about something, or the API guide to help you connect your app with different Google services. Finally you can check out the distribute section when you’re ready to publish your app. If you still prefer learning by reading a book, then this is where you need to start. Written by Zed. 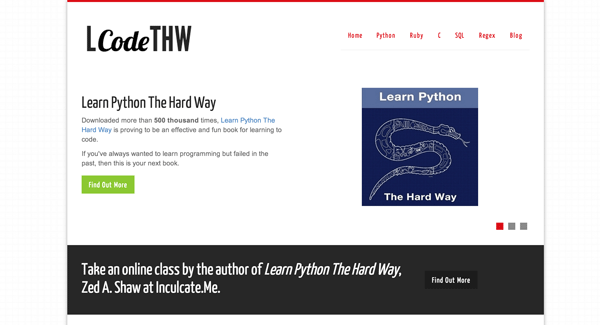 A Shaw, who started with the ‘Learn Python the Hard Way‘ book. They are great for beginners and advanced users alike. The books themselves are free as long you view the online versions. 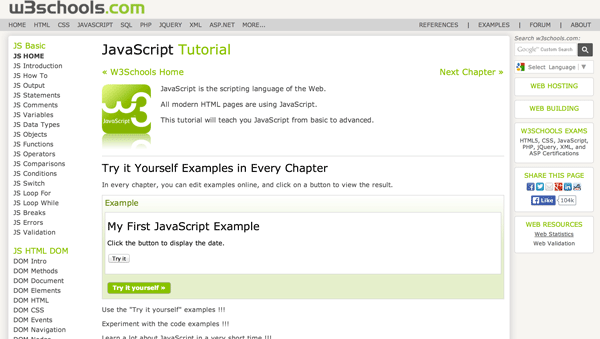 The books are structured like a course and you are advised to follow them and practice coding for 2 hours every day. The author has also developed a number of webcasts that can help you out as well. He has also written books on Ruby, C, Regex, SQL & Command Line. Each of them structured in a similar way to the Python book. Even if you have never written a computer program before, this is a great book to go through. You can try out the programs that the author has written in the books, which should also help you understand the basic concepts of a programming language. The HTML version of the book allows you to pull up a console at the bottom of the page (If you are using a modern browser). Allowing you to run a program and get a result straight away. To start learning, you will not need anything except for a modern browser. There are a number of relevant books listed on this page that you can use for free. From basic ones all the way to some of the advanced books. There are books on almost every subject in Computer Engineering. You can download the books in a printable or PDF format. I recommend checking out the books on C Programming and Algorithms. This is the best place to ask questions about computer engineering. If you run into an issue or a problem, you can paste your code into a question and there is a great community of developers that will try and help you out. Best thing to do before asking a question is to try and see if someone has faced the same problem before. In most cases you will find the solution to your problem just by searching through questions that have been asked in the past. Some times you might have to ask a question, and if thats the case, as long as you follow the rules and have a detailed question, you will get an answer. I hope you found this guide helpful. In this day and age, there are so many free resources to help you learn how to code, all it takes is the right mindset and habits to get started. Once you’ve picked the right language to focus on, its all about practice and trying to build something with what you have learned. The biggest obstacle for most people when they start getting into web development is that it seems obscure how to go about creating a reasonably nice-looking webpage, nevermind a website. These insights will help you create and flesh out your online projects infinitely faster than it took for me to start initially building mine from scratch. Sublime Text is a great resource for this, and while you think you’re getting it for the evaluation period only, the fact that it’s not compulsory to register basically makes this freeware. 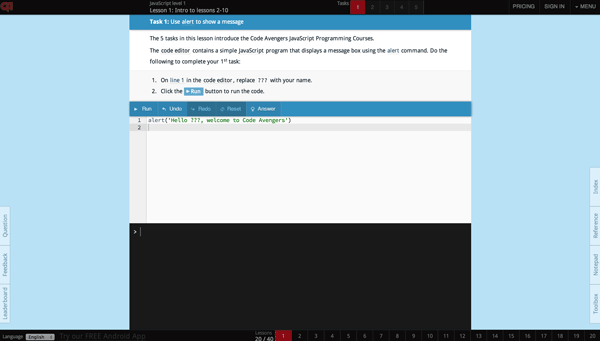 Do try to help the makers if you can with a tip, as this is a great code processor that works so much more efficiently than Notepad for code: it can match your opening, and closing tags, and autofill in certain code functions. It should take you about 2 minutes to set it up. Open it up, and you’ll see it’s a flashier version of Notepad, that can be used accordingly. If you’re on a Chromebook, try Caret instead, or look around for any text processor. You can even stick with Notepad if black text and white space are your thing. Save your new file as index.html, in a folder that comprises your project name. You’ll want to download a front-end CSS framework if you want to build things rapidly. CSS frameworks style things for you, so that you can just refer to already existing style classes and IDs located in the files you downloaded. Popular frameworks include Bootstrap, Foundation, and Semantic. For our purposes, it will be good to use Bootstrap, but the others will work according to the same theory. Bootstrap is one of the most popular front-end frameworks, developed by Twitter programmers to simplify their work with Twitter’s interface. Download Bootstrap here. Unzip all of the files into the same folder as you saved index.html. Now, modify index.html, by including a link to the CSS bootstrap style sheet in the head. This entails copy and pasting <link href=”bootstrap.css” rel=”stylesheet”> somewhere after the </title> closing tag, but somewhere before the </head> closing tag. Now let’s open the body tag. <body></body>. Always remember that the closing </HTML> tag has to end the whole thing, so move that to the bottom. 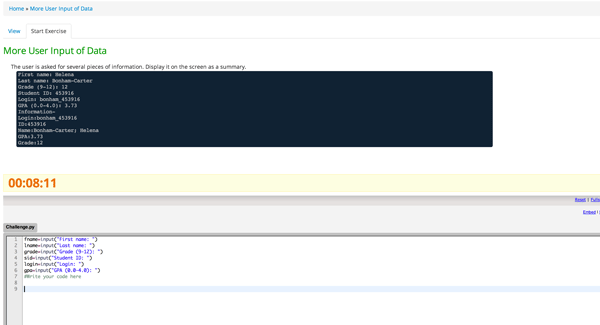 Stick a Bootstrap template in between: in this instance you can go Jumbotron mode, right click and then click on view page source, and copy/paste everything between the <body> opening tag (at line 29) to the </body> closing tag (at line 98). If you don’t like that look, check out the rest of the templates. Customize it by playing with the placeholder text within the body tags, and by adding components. Your last two tags should be </body> and then </html>. The entire walkthrough can be accessed here. Create a public Google Drive folder. You can do this by right clicking on the folder, and then clicking the Share button on the dropdown menu that pops up, then switching the settings so you are sharing with everybody on the web by changing the default private setting. Upload your HTML document along with all other files in your project folder (which should include your CSS files) on a Google Drive folder. These files should take on the public properties of their parent folder after Google prompts you to ask if you want to upload and share—click on the blue button as this is the case. If you do not, you will not be able to preview your documents. Preview your document by clicking on the file in your Google Drive, then clicking the blue “Open” button at the bottom right, then clicking the preview button on the top left corner of the HTML Google Document. The corresponding hyperlink on top can then be copy & pasted and shared with others, so that they can view your work as well! Google will be doing all of the legwork of hosting for you. It may take a while for Google Drive to process everything, so be patient if it doesn’t work at the beginning. Check back in half an hour or so. If you want to see what I did with this walkthrough, click here. You can right click and view source to see the code behind the webpage. This is a very basic primer, and there is so much more you can do beyond this, from scripts (which you can see in the last few lines of what we copy & pasted from Bootstrap), to learning how to host on your own domain. This is only the first step, but I hope it inspires you to code, and build out those great intangible ideas you’ve had into tangible web products. Are you excited, and want more resources to practice coding? Click here.